Our website marketing and advertising partners include international corporations and small, local business people and entrepreneurs. Whether you are interested in growing your existing business or starting your own web-based business- we can help. 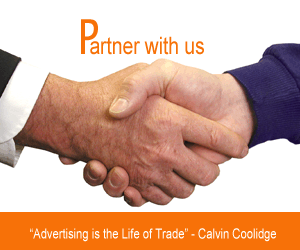 Ask us about our internet business and marketing opportunities. If you have an idea or suggestion let us know about it by completing the contact form. If you have ever visited a website, opened an email or used any kind of interactive mobile device (like a cell phone) then, like it or not - you're part the evolution of advertising. Media has become Newmedia and Newmedia is about people reaching people. Newmedia allows for advertising to be targeted and measured like never before. The evolution is in progress and ever-changing. Our collection of websites, online magazines and portals offer a unique opportunity to reach our friends, family, readers, and subscribers. Browse, bookmark and ask us about how we can build new business with targeted new media advertising.